Since its inception in the early 1940’s as a book binding company more than 70 years ago, Ngai Heng has grown and diversified from strength to strength. In 1983, it became a private limited company and shifted its focus from book binding to offset printing. Today, with more than 30 years of printing and binding experience, it is now a leading commercial printing and advertising house in Singapore serving both local and overseas clients from various business sectors. Ngai Heng provides a range of printing services from artwork design, colour separation to offset printing, digital printing and finishing processes such as packaging and binding. Ngai Heng has always been on the forefront of the printing industry by keeping abreast to the constant change in printing technologies, and continually investing in the latest equipment, softwares and technology like CTP, aqueous based print machines, high speed folding and automated binding machines. This constant upgrading of facilities enables us to consistently achieve the best possible print results and effective timeline control for our customers. 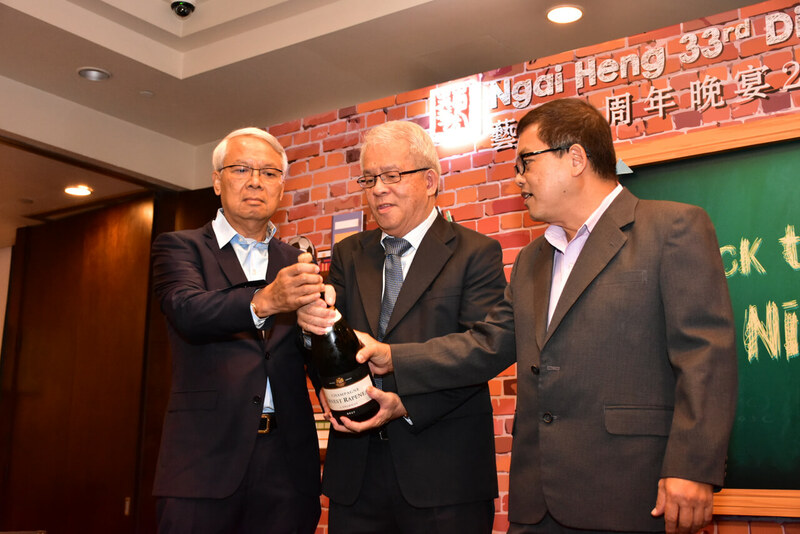 Keeping truthful to the company’s goals of progress and diversification, Ngai Heng decided in 2008 to develop a new business arm, Ngai Heng Media . With the creation of Ngai Heng Media , Ngai Heng is now able to provide their clients with a much wider range of products and services. The spectrum of services available are as follows, MICE & Events management, Point of sales advertising, Large format printing, creative & interactive media designing, Outdoor/Indoor advertising and Premium gift sourcing. By acquiring state of the art technologies and machineries, in conjunction with developing a team of highly skilled and experienced project managers, events managers and other team members, Ngai Heng is now able to fabricate, manage and print all these products and services in-house. These enable us to not only provide competitive pricing for our clients, it also allows us to act as a one-stop service centre for all their advertising needs. In tandem with our business mission, Ngai Heng presently also provides end-to-end Direct Mailing data printing, variable data management, logistics and warehousing, automated enveloping solution, fulfilment and lodgement for posting. Ngai Heng is committed not only to provide outstanding quality, finishing and customer satisfaction with respect to our products and services but also to constantly explore insightful business opportunities that arise in this ever-evolving market condition. In essence, Ngai Heng covers most of the advertising, events management and printing solutions that clients today are looking for when searching for a long term business partner who is willing to work together hand-in-hand and grow with them. NGAI HENG strives to be a one stop marketing solutions company. To become the leading marketing solutions production company in Singapore and the region. We strive to provide Excellent Service, Ingenuity, Creativity, Quality and Accountability.